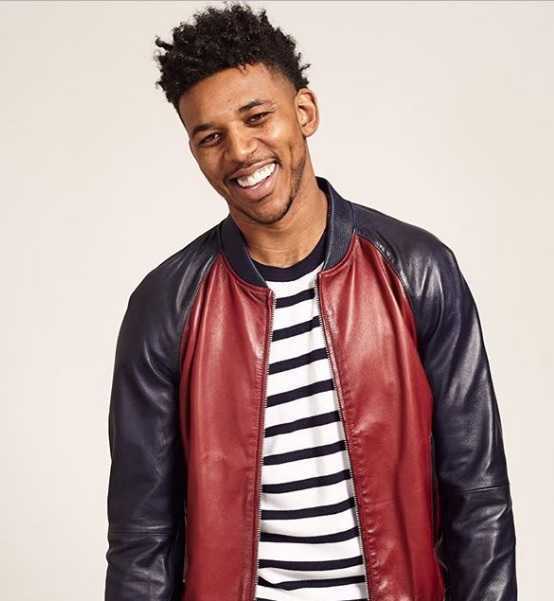 Nick Young is an American professional basketball player. His is nicknamed "Swaggy P" and his birth name is Nicholas Aaron Young. He plays in the shooting guard and small forward positions. Washington Wizards selected him in the first round with the 16th overall pick in the 2007 NBA draft. He has played for Los Angeles Clippers, Philadelphia 76ers, Los Angeles Lakers, Golden State Warriors, and Denver Nuggets. He won NBA championship with the Golden State Warriors in 2018. He played college basketball at the University of Southern California. He has over 3.3 million followers on his Instagram. Golden State presented Nick Young with his 2018 championship ring. Young was on the Warriors' 2018 NBA Championship winning team. But they took so long chatting with their former teammate that Ken Mauer handed the Warriors the rare pregame delay of game warning. Young averaged 7.3 points, 1.6 rebounds, 0.5 assists, 0.5 steals per game during his stint for the Warriors. Following his NBA championship-winning stint for the Warriors, he signed with the Denver Nuggets in December 2018 but was waived by the team in the same month. What is Nick Young Famous For? He won an NBA championship with the Golden State Warriors in 2018. Where was Nick Young Born? Nick Young was born on 1 June 1985. His birth name is Nicholas Aaron Young. He was born to a father, Charles Young, Sr., and a mother, Mae Young. He belongs to Black ethnicity. His birth place is in Los Angeles, California in the United States. He holds American nationality. His zodiac sign is Gemini. He has 2 siblings, Charles Young Jr., and John Young. He attended Cleveland High School in suburban Reseda, California. As a senior, he averaged 27.2 points and 10.8 rebounds at Cleveland. He earned 2004 CIF L.A. City Section, Los Angeles Times All-City and San Fernando Valley first team honors. He was tabbed the 7th best player in the country by HoopScoop and listed by prep basketball guru Frank Burlison as among the Top 50 recruits in 2004. He earned CIF L.A. City Section first team honors in 2003. He was also included in a list of Top Seniors by Athlon heading into 2004. He enrolled at the University of Southern California. He played college basketball for the USC Trojan men's basketball team at USC. He was All-Pac-10 First Team in the 2005-06 and 2006-07 seasons. He forgo his senior year at USC to enter the 2007 NBA draft. Young was selected by the Washington Wizards with the 16th overall pick in the first round of the 2007 NBA draft. He made his NBA debut in December 2007 against the Sacramento Kings. He was once fined $10,000 by the Washington Wizards in January 2010 for participating in Gilbert Arena's antics before a game. He scored a career-high 43 points in January 2011 against the Sacramento Kings. He was traded to the Los Angeles Clippers in a three-way trade involving the Denver Nuggets and Washington Wizards in March 2012. He helped the Clippers clinch their first playoff berth in 6 years in April 2012. He signed with the Philadelphia 76ers to a one-year deal in July 2012. He signed with the Los Angeles Lakers in July 2013. He averaged a career-high 17.9 points per game during the 2013-14 season. He also converted a Lakers' record seven four-points plays. He extended his contract with the Lakers in July 2014 signing a four-year deal worth $21.5 million. He made his season debut in November 2014. He missed first ten games of the season with the injury he sustained during training camp. He was ruled out for two to four weeks due to a strained right calf muscle in November 2016. He posted 36 three-pointers in eight games between late December and early January. It was the most in an eight-game stretch in Lakers franchise history. He became an unrestricted free agent after the end of 2016-17 season. He signed with the Golden State Warriors in July 2017. He made his Warriors debut in their season opener in October 2017. He helped the Warriors to win the 2018 NBA Championship defeating Cleveland Cavaliers. He signed with the Denver Nuggets on 10 December 2018. The Nuggets waived him on December 2018.
Who is Nick Young' Wife? He was romantically linked with Australian rapper Iggy Azalea in November 2013. Azalea confirmed in April 2014 radio interview that they had been in a relationship for around 8 months. The couple got engaged on 1 June 2015. The rapper broke off their engagement in 2016 after a video of Young discussing how he was having an affair with another woman surfaced. He previously dated Keonna Green. And the couple shared a son, Nick Jr. together. After his engagement broke with Azalea, Keonna Green confirmed that she was 22 weeks pregnant with Young's second child. What are Nick Young's Body Measurements? Nick Young stands at a height of 2.01 m i.e. 6 feet and 7 inches tall. He has a body weight of 210 lbs i.e. 95 kg. He has an athletic body build. He has a chest size of 45 inches, biceps size of 15.5 inches, and a waist size of 36 inches. He has dark brown eyes and dark brown hair. 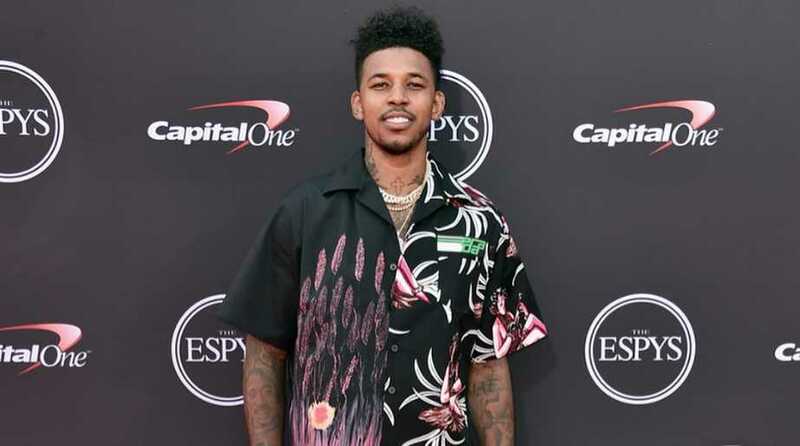 What is Nick Young's Net Worth? Nick Young earns playing professional basketball. He has played professional basketball for Washington Wizards, Los Angeles Clippers, Philadelphia 76ers, Los Angeles Lakers, Golden State Warriors, and Denver Nuggets. He had endorsement deals with Adidas and has appeared in the TV ad for Finish Line, Nike iD, and Target. As of 2019, his net worth is estimated at $8 million. He was the main subject of a documentary, Second Chance Season in 2007. He is the cousin of NBA player Kevon Looney and rapper Kendrick Lamar. According to him, his nickname "Swaggy P" is a pseudo-biblical reference to "the Prophet of Swag".